Comments Off on Ace Of Cups Coming! 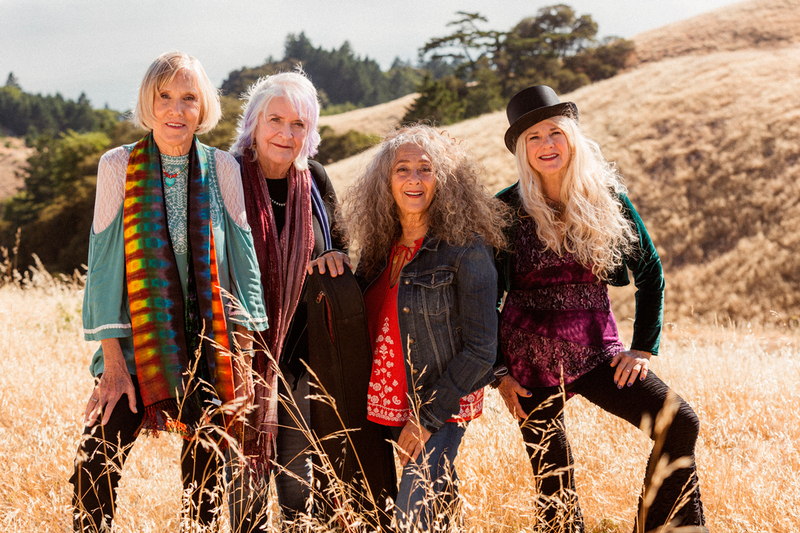 High Moon Records presents the debut studio album by Ace Of Cups, the pioneering all-female rock band of the late ‘60s San Francisco scene. The album features contributions from Bob Weir, Jorma Kaukonen and Jack Casady, Taj Mahal, Buffy Sainte-Marie, Peter Coyote, and many more. San Francisco’s Ace Of Cups were one of the most important bands of the Bay Area music scene but no record label ever signed them. 50 years later, they’re setting the record straight and making history. High Moon Records will release their debut record on November 9th. You can pre-order the 2 CD set and 2 LP set here! Read the Billboard Magazine interview with Denise Kaufman of Ace Of Cups announcing the new release. Ace Of Cups, were at the epicenter of the ‘60s cultural and social revolution. From the Acid Tests to the protests, from the free concerts in Golden Gate Park to the ballrooms of San Francisco; they played with everyone from The Band to the Grateful Dead, and were highly regarded by their peers. The Ace were chosen to open for Jimi Hendrix, one week after his groundbreaking performance at The Monterey Pop Festival. When asked by Melody Maker magazine about his favorite musical discoveries on his U.S. tour, the Ace Of Cups were the first thing he mentioned. Despite being well-known for their exceptional songs and charismatic live performances, Ace Of Cups never made a record of their own, until now. When the opportunity arose to finally record their first proper album, the Ace leaped. With the enthusiastic support of High Moon Records, and the guidance of celebrated producer Dan Shea (Mariah Carey, Santana) and recording at Marin’s Laughing Tiger Studios, four of the band’s original members began exploring fifty years worth of exquisite songwriting and writing new material. As the word spread that a record was being made, old friends and allies began to come by the studio to offer support and musical contributions. In total, 36 songs were recorded during the sessions, and what had started out as a chance to set the record straight turned into a history-making second act. Despite the number of songs and guests on the album and the range of material, there is a remarkable consistency born from the band’s deep personal and musical connection. Right from the start the Ace understood the art of the song, and that spirit remains true and close to everything they do. 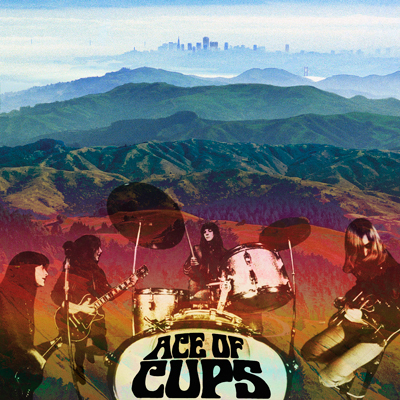 Ace Of Cups blends rock, pure folk, blues and gospel influences with a pop sensibility and a garage band rush; all tinted by an intoxicating psychedelic sheen. Special guests include legendary players – and long-time friends of the band – Jorma Kaukonen and Jack Casady, David Grisman, Charlie Musselwhite, Pete Sears, and Steve Kimock, as well as lead vocal turns by Bob Weir (“The Well”), Taj Mahal (“Life In Your Hands” and “Daydreamin”), Peter Coyote (“As the Rain”), and Buffy Sainte-Marie (“Pepper In The Pot”). Learn more about the Ace Of Cups in this award-winning KQED piece, which has garnered 5 million views on social media. Pre-order the 2 CD set and 2 LP set! High Moon Records is pleased to announce its latest offering, Ryan Martin Gimme Some Light. 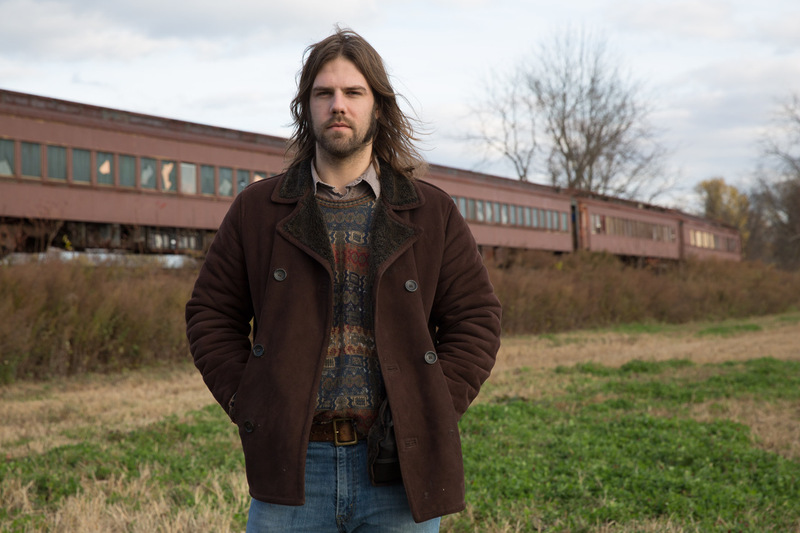 New York based singer-songwriter Ryan Martin premieres a beautifully-shot new video for twangy lead single “Death of Love” at PopMatters. The video blends French New Wave cinema with a classic Americana touch. Martin’s label debut Gimme Some Light is out June 29 on High Moon Records. Gimme Some Light is the sound of catharsis and renewal, loss and reinvention. It is a living jukebox, full of vivid, deeply personal songs that span considerable emotional and sonic terrain. Drawing from the same well of timeless American music that informs artists like Neil Young, Ryan Adams, Gillian Welch and Bruce Springsteen, Martin’s themes can get dark – self-doubt, longing, heartbreak, addiction – but the music is full of bold melodies, energy, humor and hope. Recorded at The Art Farm (Felice Brothers, Nels Cline) in Upstate New York, Gimme Some Light goes deep and wide into Martin’s songbook. From the dark and twangy Americana of “Death of Love” to the driving R.E.M.-jangle of “Say You Love Me”, the modern rock exaltation of “Lepers In Armor,” to the timeless fragility of “Real Human Being”; these are classic songs luminous with imagery and feeling. Ryan Martin’s Gimme Some Light can be pre-ordered here. Comments Off on The Ace of Cups! Yes it is true. High Moon Records has been working with the Ace of Cups on brand new music. The legendary trailblazing San Francisco band has been holed up in Marin’s Laughing Tiger studio, diligently working on music that will be released in 2018. Finally, the Ace of Cups debut album will see the light of day and these amazing musicians will get their due. Thanks to KQED for producing this amazing video that is just a snapshot into this legendary band’s history and legacy. You can read the post on KQED’s site here!